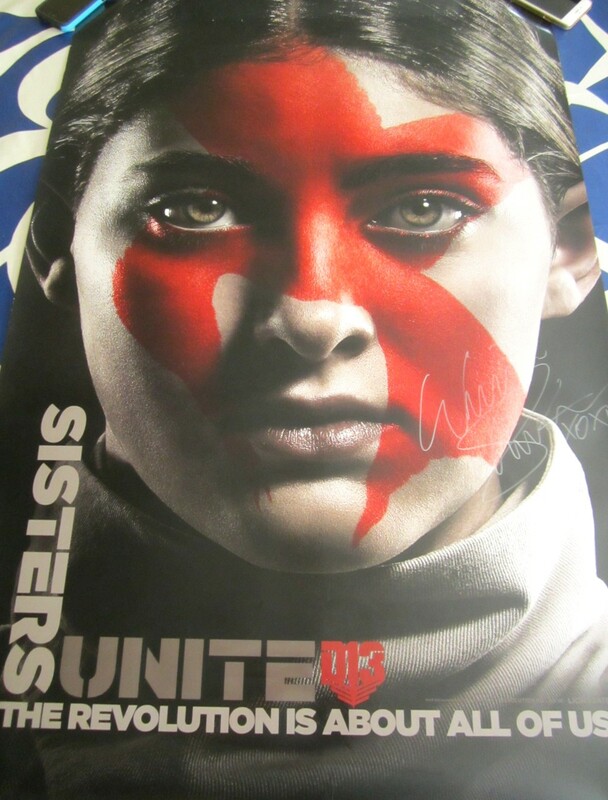 Full size 27x40 inch Hunger Games Mockingjay Part 2 movie poster autographed in silver marker by star Willow Shields, who played Primrose. 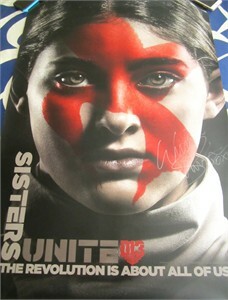 Obtained in person at very limited 2015 Comic-Con signing, with photo from the signing and certificate of authenticity from AutographsForSale.com. HAS MINOR TO MODERATE HANDLING FLAWS.